What a fantastic exhibition! Thank you to the Philadelphia Museum of Art for allowing me to reproduce the wonderful photographs below, many from photographers that I have never heard of before. Please click on the photographs for a larger version of the image. 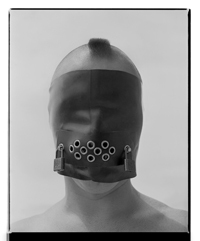 All photographs © the Philadelphia Museum of Modern Art. 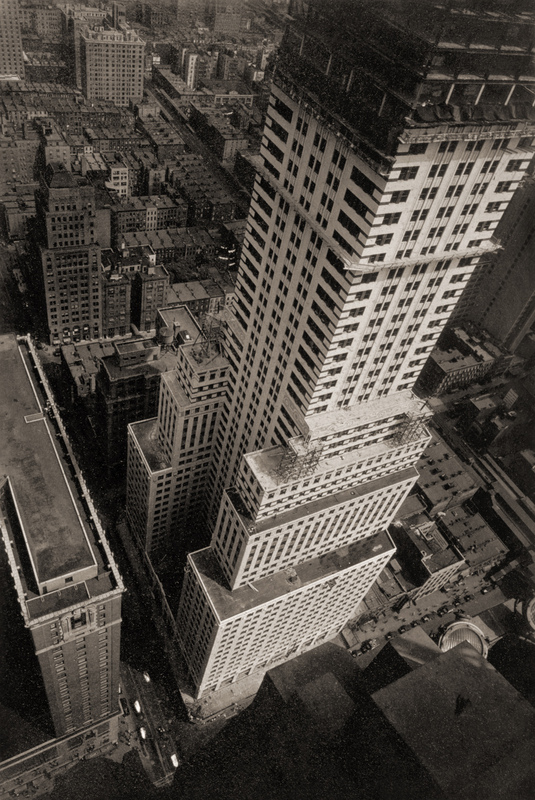 At the turn of the 20th century when they first began to appear, skyscrapers were seen as symbols of modernity and testaments to human achievement. Stretching the limits of popular imagination, they captured the attention of visual artists working in a variety of mediums. 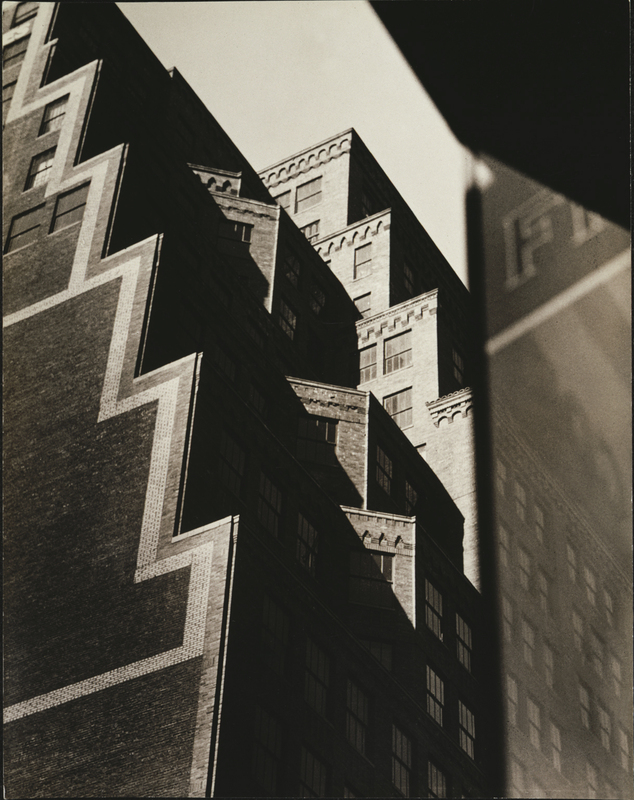 This summer the Philadelphia Museum of Art presents Skyscrapers: Prints, Drawings, and Photographs of the Early Twentieth Century, an exhibition that traces the rise of the American skyscraper as an iconic image. The exhibition will feature more than 50 works from the Museum’s collection, dating from 1908 to 1941, which demonstrate the many ways artists chose to portray the new giants in their landscape. 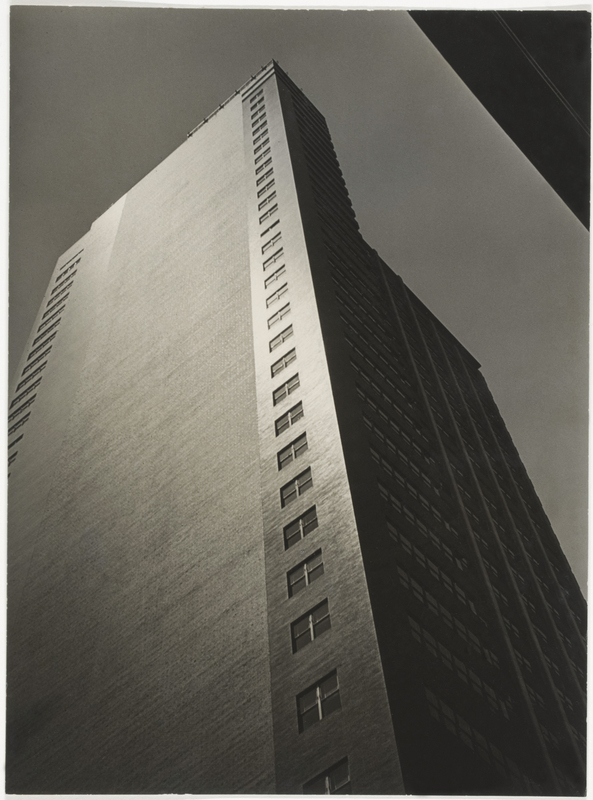 Skyscrapers includes prints by John Marin and Charles Sheeler, photographs by Berenice Abbott and Alfred Stieglitz, and drawings by Earl Horter and Abraham Walkowitz. 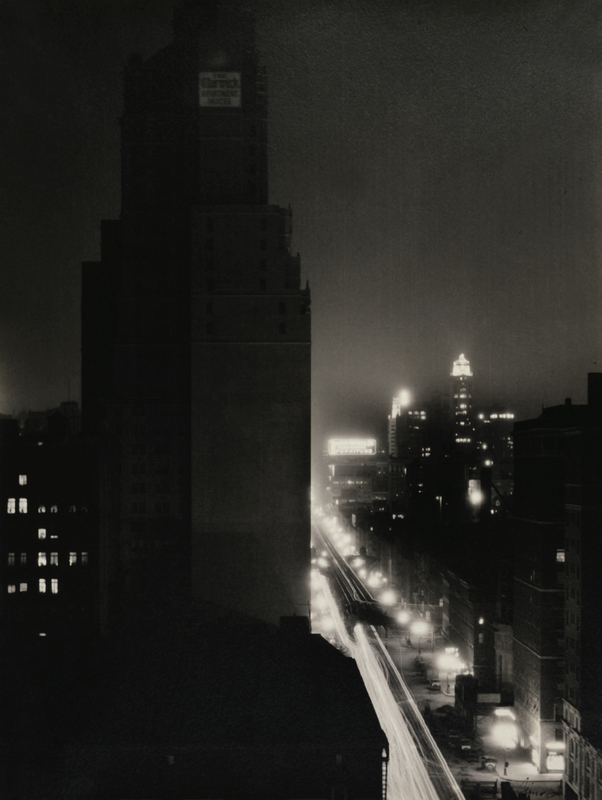 The works in Skyscrapers reflect a wide range of styles and practices, from Walkowitz’s loosely drawn “New York Improvisations” (1910) to Abbott’s luminous photograph “New York at Night” (c. 1932), which captures the dazzling allure of the city’s glowing evening skyline. 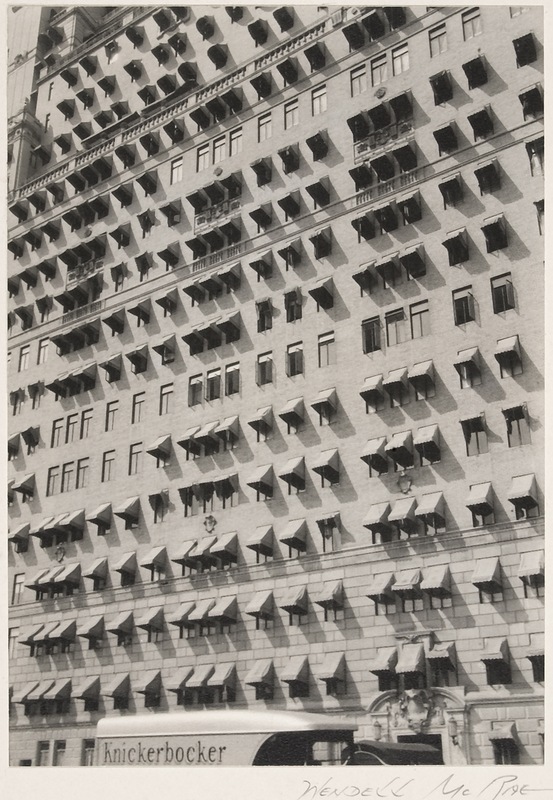 The combination of mediums included in the show allows the viewer to consider the relationship between drawing, printmaking, and photography in this dynamic period. The exhibition also offers a view into the interaction of architecture and urban development with art’s role as a form of documentation. 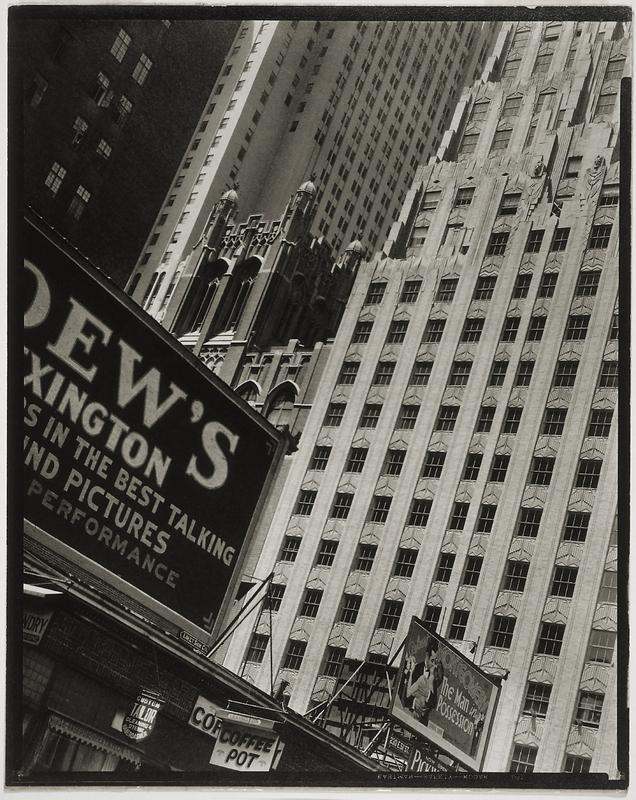 Among the famous buildings featured are Chicago’s gothic-ornamented Tribune Tower, New York City’s Art Deco Empire State Building, and Philadelphia’s modernist PSFS Building. An atmospheric etching of a rainy nighttime scene at One Broad Street in Philadelphia by artist Allan Randall Freelon (American, 1895-1960) shows how this important intersection at the heart of the city would have appeared in the 1930s. 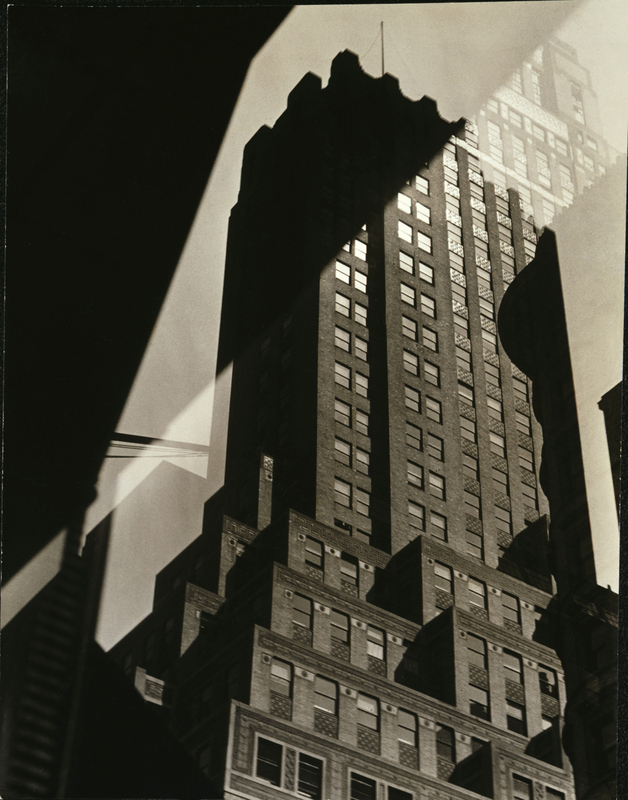 The towering, occasionally menacing, physical presence of these structures is a frequent visual theme in the works – whether in Howard Norton Cook’s woodcut “Skyscraper” (1929) or Sherril Schell’s photograph “Window Reflection – French Building” dating from 1930-32. 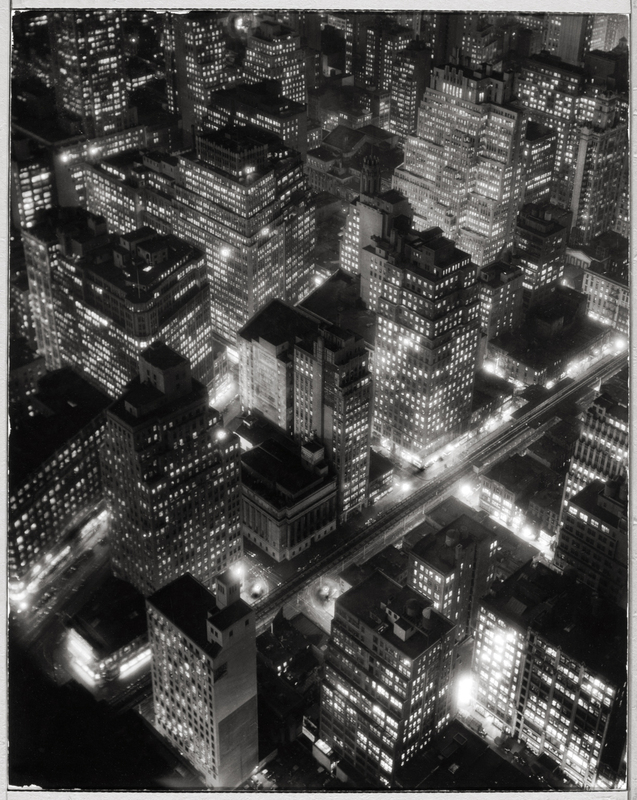 Horter’s graphite drawing “Manhattan Skyline” (1916) shows a row of newly-built towers thrusting skyward in strong, vertical lines and overshadowing the residential rooftops in the foreground, an image that suggests the city’s emergence as a financial and commercial giant.